Problem: Canonical links turned on for non-duplicate content pages. 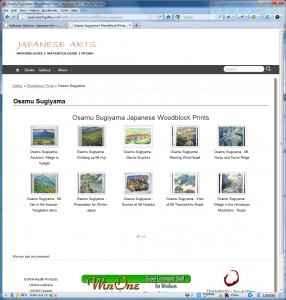 Having been happily using Yoast’s WordPress SEO on a customers WP e-Commerce health products site for some time I decided to implement it on my Japanese Arts gallery hobby site. 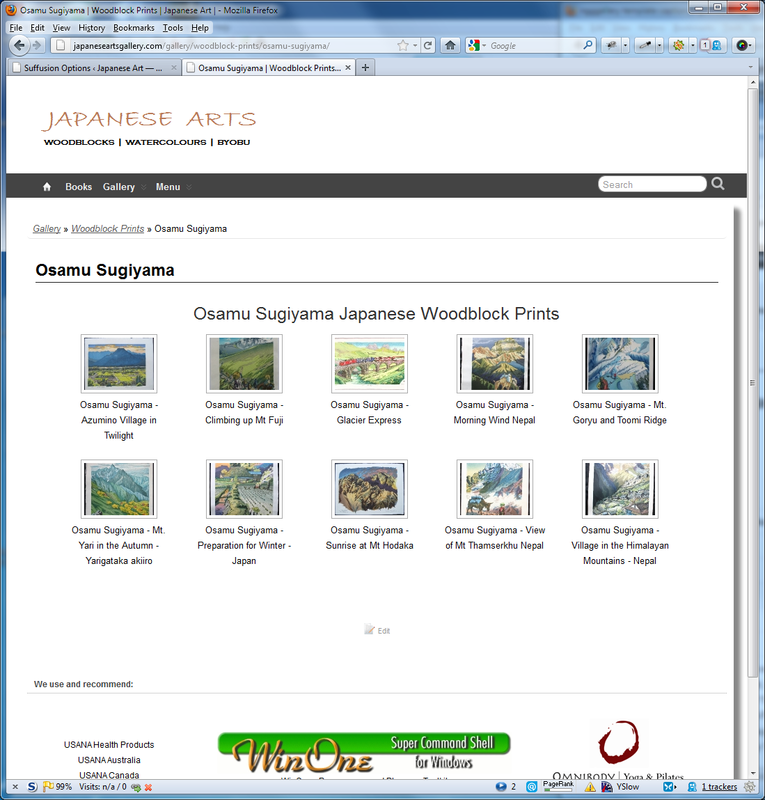 The Japanese Arts gallery site uses the NextGEN plugin to manage the gallery albums and images. Having deactivated the All in One SEO plugin and Google XML Sitemaps I installed and activated WordPress SEO by Yoast and everything looked pretty good. The settings import function is excellent – loads of time saved there. On closer checking however, it appears using WordPress SEO has reintroduced a canonical URL problem I previously had on the site. 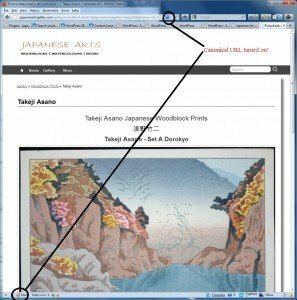 The problem is that after clicking on a gallery thumbnail the NextGEN generated image page that’s opened has a canonical URL set pointing back to the gallery thumbnail page. However, both the gallery thumbnail page and image page have unique content. The vast majority of my content is on image pages which include text/descriptions so to have them listed by site review tools and potentially treated by Google as not to be indexed is a serious issue. 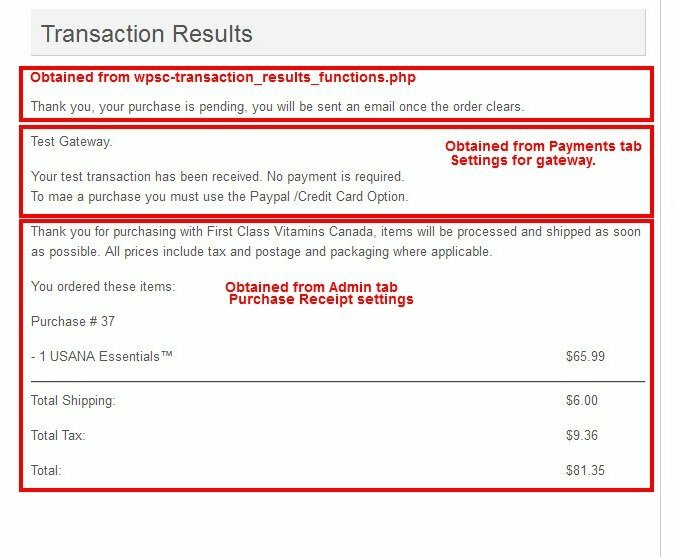 I resolved this previously by commenting out the add_action for rel=canonical from the default-filters.php file in WordPress. Obviously this is not a ‘fault’ with WordPress SEO given this problem existed previously – the problem is that the plugin does not let the user choose if they want to use canonical URL’s or not. The resolution is simple – remove WordPress SEO and go back to using All In One SEO which very usefully has a setting to turn canonical URL’s on or off. Unfortunately Yoast’s WordPress SEO doesn’t have such a feature (please correct me if I’m wrong). I’m not sure why that functionality isn’t available given the number of forum issues that are reported for canonical URL problems. 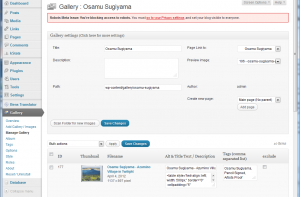 An additional thing I noted in the short time I used WordPress SEO on the gallery site was that the xml sitemap function didn’t include any of my sites translated pages. 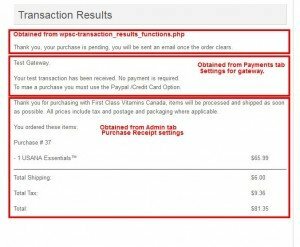 I use a translation plugin to bulk up my site and because many of my visitors are from non-english speaking countries. My previous sitemaps generated by Google XML Sitemaps do include the translated pages and Google has most of them indexed. If your a NextGEN gallery user be sure to check that ‘sub/child/nested’ pages of your site are not set to be non-indexable (even though Google doesn’t always adhere to that). You may be better served using All in One SEO with Google XML Sitemaps and Robots Meta. 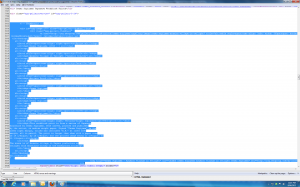 Update: 2012/05/25 – Response from Joost de Valk (aka Yoast). Hows this for great service. We posted a short version of the post above on the WordPress forum and Yoast responded the same day. 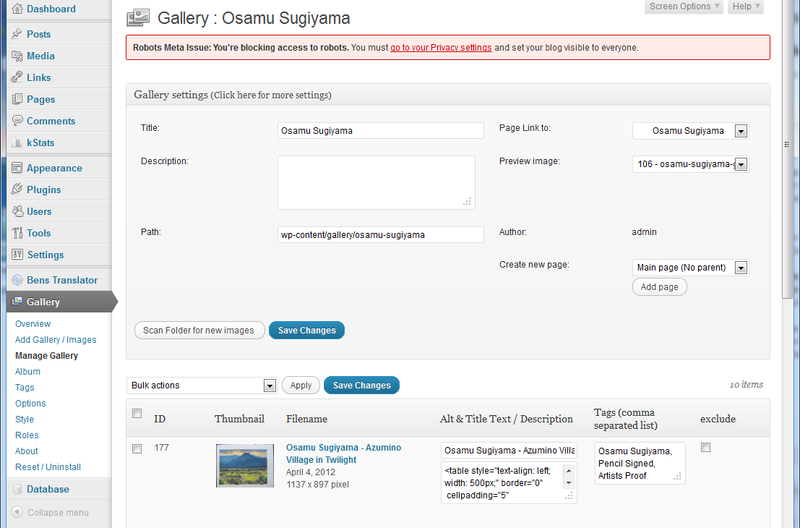 If your having a problems with canonical URL’s while using WordPress SEO then using the above filter will turn them off. See the NextGen Caption Bug post for details of this problem and its impact. 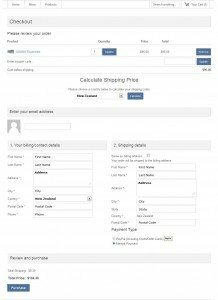 The problem occurs in a number of NextGen programs including /view/gallery-caption.php, /view/singlepic/php and /widgets/widgets.php. The ‘must change’ two for me are /view/gallery-caption.php and /view/singlepic/php as they caused visual problem with my Nextgen galleries. I haven’t provided a fix to /widgets/widgets.php as the only impact from that I’ve noticed is puttng lots of junk into my page source. I’m trying to keep my customising to a minimum so that one can stay. Basically the fix requires occurrences of the variables ‘description’, ‘caption’ and ‘linktitle’ to be changed to ‘alttext’ whenever they are used as titles and alt text in <href> or <img> statements. I first made these changes a long time ago and from memory had 404 errors occur when viewing the gallery (although I may have also may other changes at the same time). Either way, updating permalinks resolved that. Here’s before and after screen caps to show what a difference the changes below made. 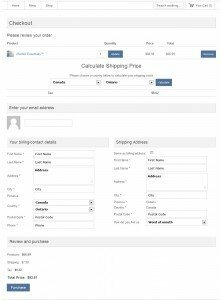 The following code was run through a converter to allow it to be viewed as text on this page – hopefully the syntax is still correct. Between the two programs I only changed three words so personally I would change those manually rather than cut/paste the whole snippet. Update: April 2012. See the NextGen Caption Fix post for details of my fix for this problem. I’ve just ugraded to the latest version of the NextGen Gallery Plugin and as in previous versions it has in my opinion a problem with it’s handling of Titles/Captions/Alt-Text and Descriptions. Logically Titles, Captions and Alt-Text would usually be set to just a few words where-as a Description would be longer. This logic is correctly reflected in the NextGen plugin Gallery Settings page where the Alt & title Text input field is a single line (no html allowed) and the Description input field can be any size you want (with html allowed). 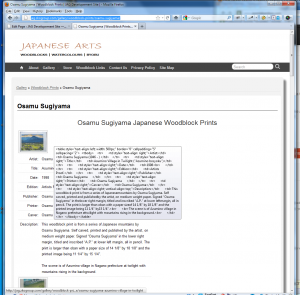 In my woodlbock print gallery I set the Alt & Title field to be the artist and print name. 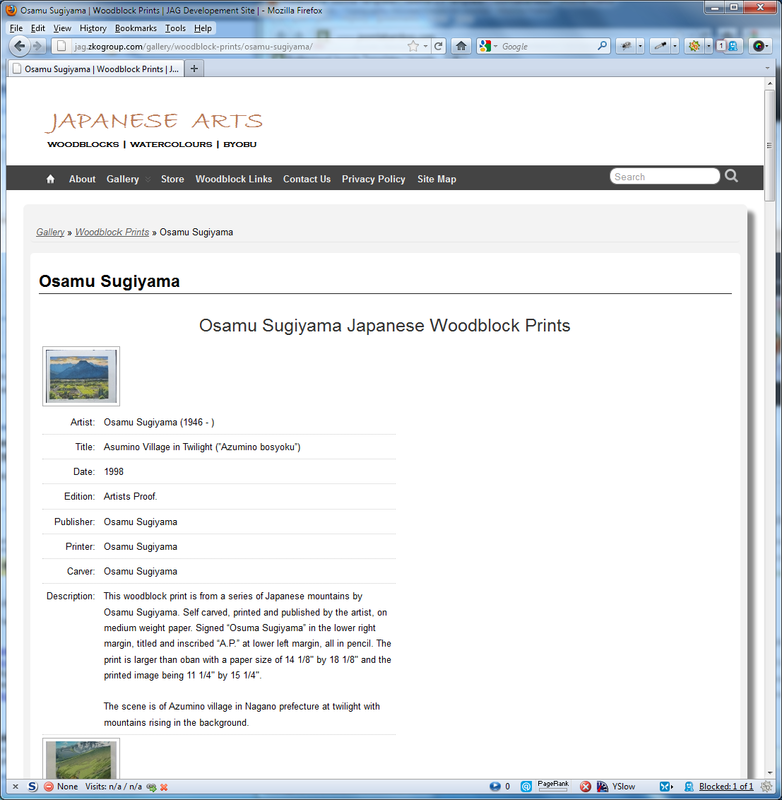 The Description field is set to be a html table containing details about the artist and print. 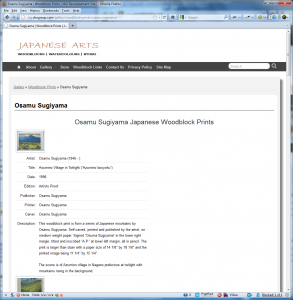 My gallery pages all use the shortcode [nggallery id=x template=caption]. Up to this point NextGen Gallery and I agree on how to handle these fields. Now however, we go our separate ways as when viewing any gallery on my website the following issues appear. (1) The large Description field (a html table in my case) is being used as the thumbnails caption totally destroying the layout. What should appear in the image below is a nice thumbnail grid view with each thumbnail having a Title/Caption of a few words under it. As can be seen that’s not what’s being displayed. 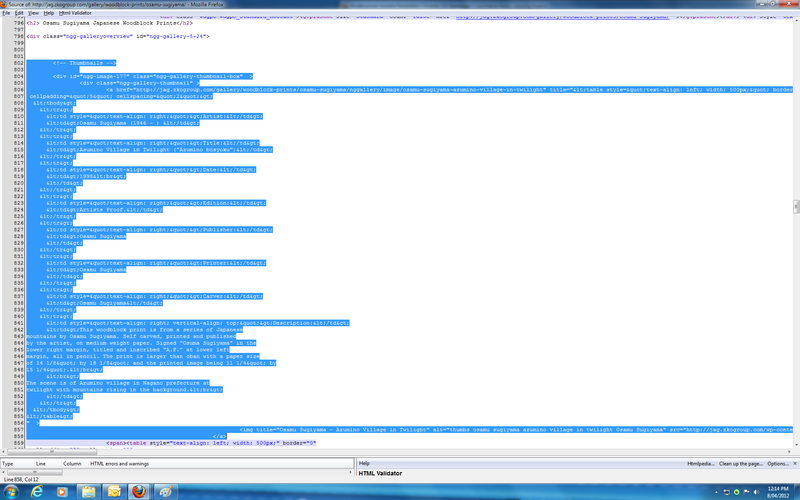 (2) Hovering my mouse beside a thumbmail displays the raw html table stored in the Description field. 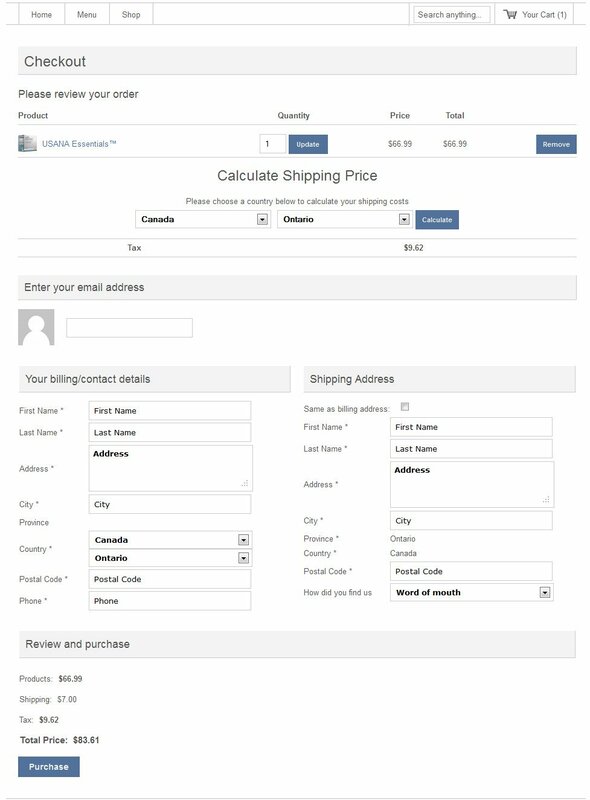 (3) A view page source of the gallery page shows it is cluttered up with ‘junk’ as a result of the Description field being used as the href title tag. This also occurs on any web page where the NextGen Widget is used to show Random/Recent updates. 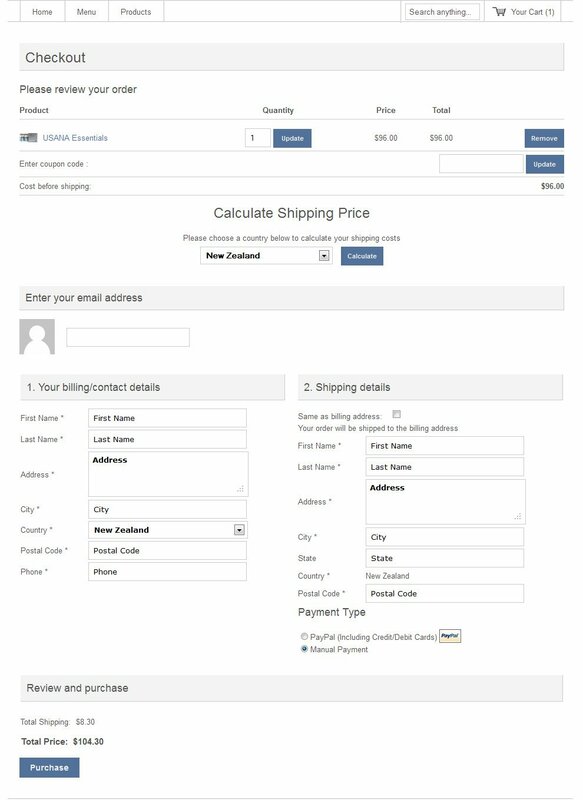 The examples above are from my test site running the latest version of the NextGen Gallery plugin. 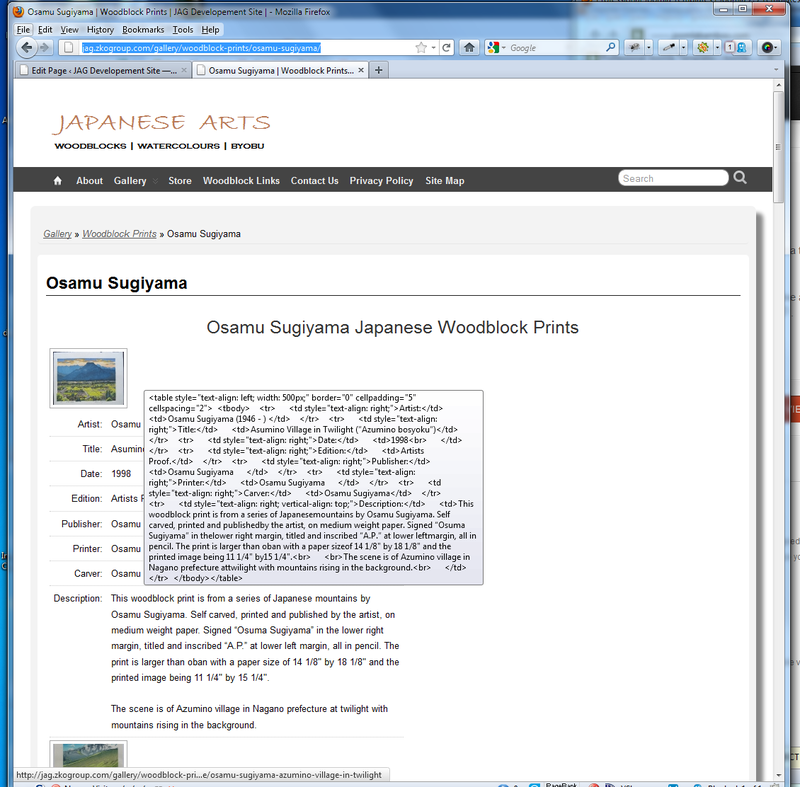 To see the gallery working correctly after I’d made some coding changes in the NextGen plugin visit http://japaneseartsgallery.com or more specifically the Osamu Sugiyama Woodblock Prints page.